Glaucoma is a group of diseases which can make person lose his vision. It has no warning syptoms in the initial stages yet can damage eyesight. The syptoms of Glaucoma depend on its type. Glaucoma treatment includes eye drops, oral medications and surgery. Glaucoma is a group of diseases which threaten a person’s faculty of vision and can gradually lead to loss of vision without any warning symptoms. It is often called a ‘silent thief of sight’ as in the early stages of the disease, it may show no symptoms but loss of vision can still occur. While glaucoma can occur at any age (infancy to old age), the risk is much higher for people over 60 years. There are many different types of glaucoma. The most common type of glaucoma in adults is open-angle glaucoma and the other main type is angle-closure glaucoma. In most types of glaucoma the drainage system within the eye is affected. At the front of the eye there is a small space called the anterior chamber. A fluid called aqueous humour is formed in the eyes by a tiny gland called the ciliary body. It constantly circulates through the anterior chamber (a small space in front of the eye). The fluid flows through this chamber and nourishes the cornea and lens. It drains through a very tiny spongy tissue called the trabecular meshwork (situated in the angle where the iris and cornea meet). If the outflow system gets blocked aqueous humour cannot leave the eye as quickly as it is produced. This causes increase in pressure within the eye. Increased pressure causes damage to the optic nerve (the nerve that carries visual information from the eyes to the brain). Damage that occurs to the optic nerve is permanent; hence loss of vision is also permanent. 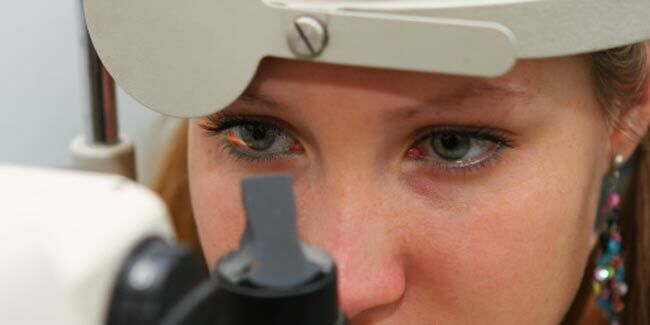 Early diagnosis and treatment of glaucoma can help prevent loss of vision. Symptoms of glaucoma depend on its type. In most cases of chronic glaucoma, there are no noticeable symptoms till late in the course of disease as the condition develops very slowly. Hence many people with this type of glaucoma are not aware that their sight is being damaged. Vision loss progresses from the outer rim of the eye (peripheral vision loss) and then involves the central vision (central vision loss). Symptoms of closed-angle glaucoma (CAG) develop rapidly. Some signs and symptoms of CAG include intense pain in eye (the pain may occur in the eye itself or in areas around the eye), redness of the eye, headache, pain on touch (tenderness) in the area around eye; seeing halos or 'rainbow-like' rings around lights. Glaucoma treatment aims to reduce intraocular pressure by improving aqueous outflow by reducing the production of aqueous humour to prevent damage to vision. Treatment options for glaucoma include eye drops, oral medications and surgery. 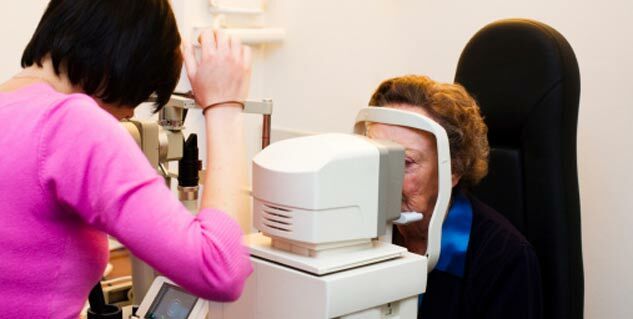 Your doctor will recommend treatment based on the type of glaucoma and severity of symptoms. 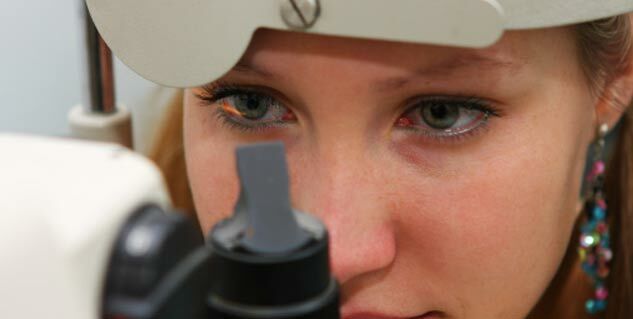 Early detection of glaucoma and appropriate treatment can prevent loss of vision.